We regularly perform not-so-random acts of kindness directed at helping the people and places that we love. People who have seen Watoga State Park in West Virginia, come back to it time and again. They come for the trails and the big trees. They come for the fish in the lake and the mountain air. When hikers flick fallen branches off a trail or choose to leave only footprints they are part of a large network of volunteers who love and support Watoga State Park. Little things count. Enjoy the park! Simply by using it, Watoga’s guests help show the value of public lands and waters preserved for everyone. Fish! The lake is stocked with trout. Volunteer to help at a fishing derby. Spread the word! Bring friends and families to Watoga, then share your memories. Run as well as hike – there are trail races each August. A half marathon is a grand way to see 13 miles of woodland trails. (Some effort is involved.) The 5K trail race is a joy. Learn fascinating facts! The park puts on hundreds of nature programs each year, most with neat activities for children. Learn woodsy skills. Dutch oven cookery is especially popular. Travel in time. Watoga’s history remains visible today. 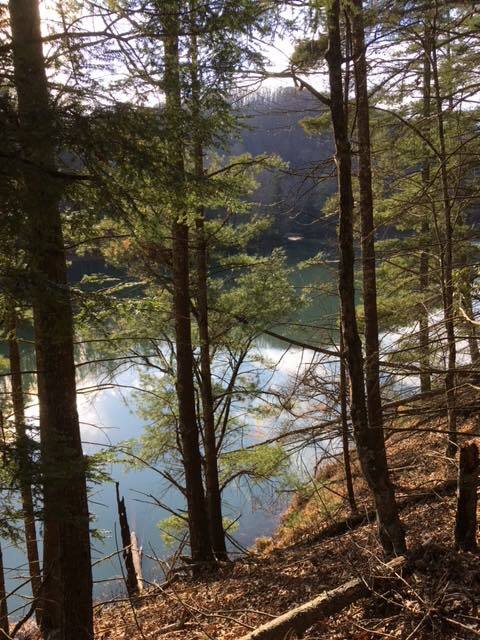 Stay in a cabin built by the Civilian Conservation Corps 80 years ago, hike a ridge trail as old as the hills, see trees over 300 years old. See new things! (Wildflowers spring to mind. Also fawns and bear cubs.) Nature is self-renewing. So are we. 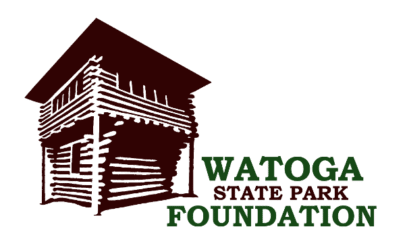 Meet more Watoga volunteers through the Watoga State Park Foundation, a (501c3) nonprofit. Doing good can be lots of fun. There’s strength in numbers. 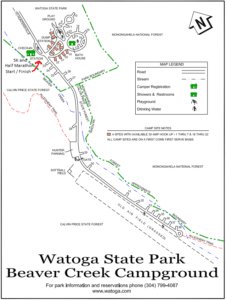 The Watoga State Park Mountain Trail Challenge Races brings trail runners to the park each August for a tough half marathon or a beautiful 5K race on shaded woodland trails. All proceeds benefit the park through the Watoga State Park Foundation. Come run our beautiful trails, meet friendly volunteers, and win prizes! Which race for you? See course description links below, featuring new 3D interactive course maps! Awards for each race: 1st, 2nd, & 3rd overall, male and female, plus 1st & 2nd in each age group, male and female. Finisher’s medal for half marathon challenge. A variety of lodging options are available. 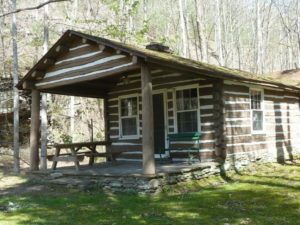 Rental cabins and campgrounds are within the park. National Forest Campgrounds are close by. Beds and Breakfast and motels are also reasonably convenient. The first cabins were built by the C.C.C. in the 1930s. They make a special place to stay in the wilderness. Check early for reservations, as they are popular. Last year, when people came to Beaver Creek for the races Saturday morning, one comment heard a number of times was, “Why, we could have camped right here!” Both races start and finish at the campground check-in station, and the big tent for the post-race lunch is right there, too . The thirty-four regular campsites are unreserved, and the park will allow overflow tent camping on the airstrip, making the campground a virtual village of trail runners that weekend. This popular campground has both reserved and unreserved sites. It’s 4 miles by road from there to Park Headquarters along beautiful Island lick Run, then another 3 miles to Beaver Creek Campground. Campers can check in at either campground. 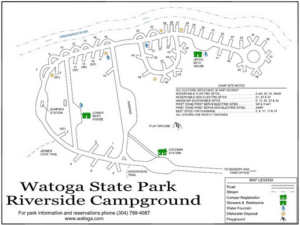 Both campgrounds have showers and restrooms, dishwashing stations with hot water, and playgrounds.